Hey everyone, we’re back again for day 10 of our 20 day giveaway celebration of AnandTech’s 20th anniversary. Starting us off this morning is Huawei. We haven’t had a phone giveaway in a couple of days now, so the rising Chinese smartphone manufacturer is supplying us with a set of their latest phones. Need something big? Then for that we have the Mate 9. Or something a bit more one-hand friendly? Then for that we have the recently launched P10. 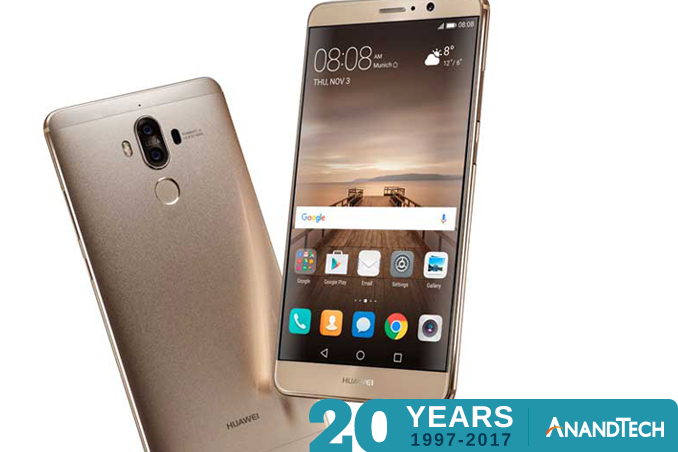 Launched at the tail-end of last year, the Mate 9 is Huawei’s flagship phablet. With a 5.9 inch 1080p LCD display, the Mate 9 is a big deal. 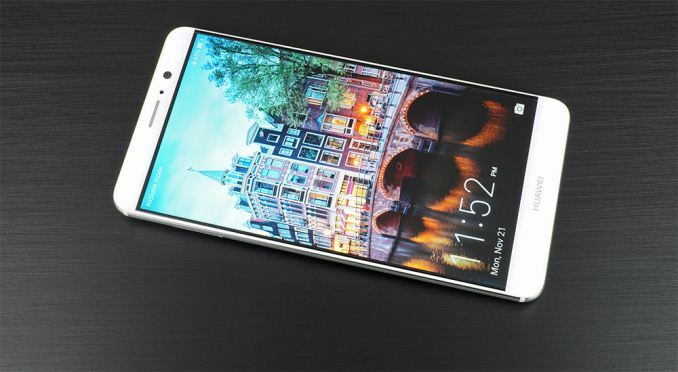 But not just for the screen: it’s also one of the first Huawei phones to feature subsidiary HiSilicon’s Kirin 960 SoC, a current-generation 16nm FinFET-built SoC that incorporates ARM’s latest Mali-G71 GPU and Cortex-A73 CPU. As a result the Mate 9 ends up being a very fast phone. Rounding out the package is a 64GB of NAND and 4GB of RAM, along with a 12MP rear camera based on Sony’s IMX286 sensor and incorporating OIS and laser auto-focus. Meanwhile the phone’s modem is based on Huawei/HiSilicon’s own LTE modem design, which supports up to LTE Cat12. The phone itself is built around an aluminum unibody, which as Matt Humrick noted in our review of the phone, “gives it a stiff, solid feel that’s atypical for such a large phone.” And Huawei puts that volume to good use as well, filling the phone with a 4000 mAh (15.28 Wh) battery, giving the powerful phone some extra battery capacity to offset its capabilities. 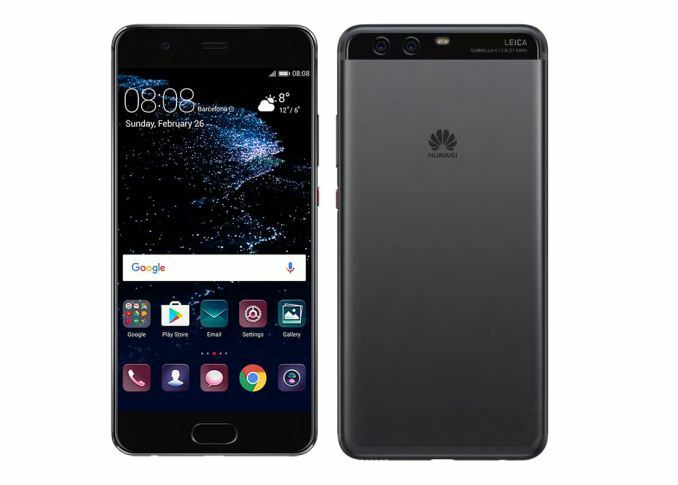 The smaller counterpart to the Mate 9, the Huawei P10 incorporates much of the same hardware in a smaller body. We’re still looking at the Cortex-A73 equipped Kirin 960 SoC, only this time it’s now paired with a 5.1 inch 1080p LCD. The rest of the internal hardware includes 64GB of NAND and 4GB of RAM, and the SoC’s integrated LTE Cat12 modem. The rear (color) camera is a 12MP f/2.2 design, based on Sony’s IMX286 sensor. Meanwhile the IPS LCD display is capable of covering almost the entire DCI-P3 gamut, which will be particularly useful once Android color management catches up. Powering the phone is a 3200 mAh battery. Good luck everyone! And be sure to check in tomorrow for our next giveaway.